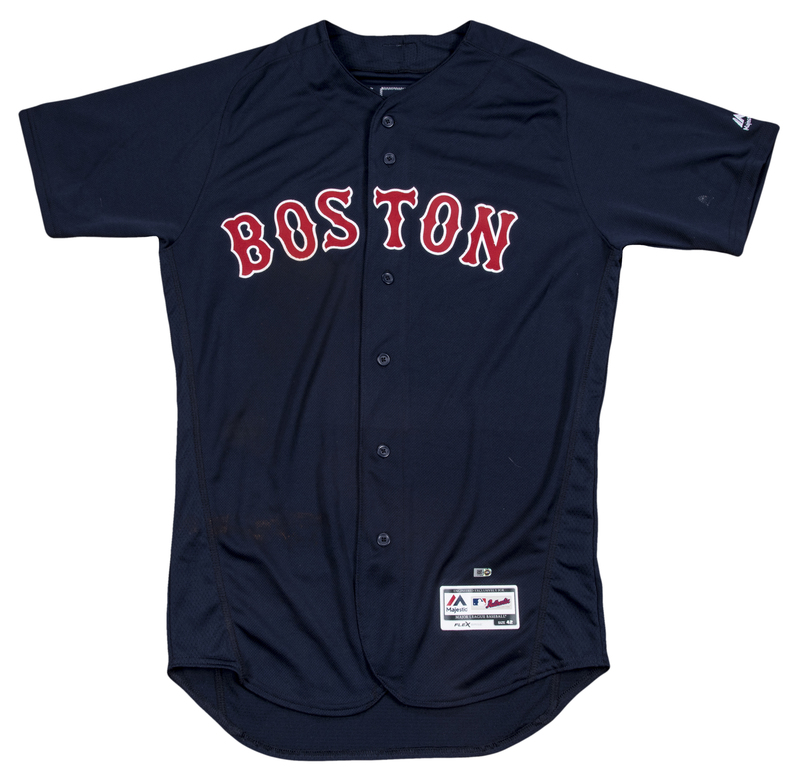 Boston Red Sox outfielder Mookie Betts wore this Boston Red Sox road alternate navy jersey during the Red Sox 13-6 15-inning marathon victory over the Tampa Bay Rays at Tropicana Field in Tampa. 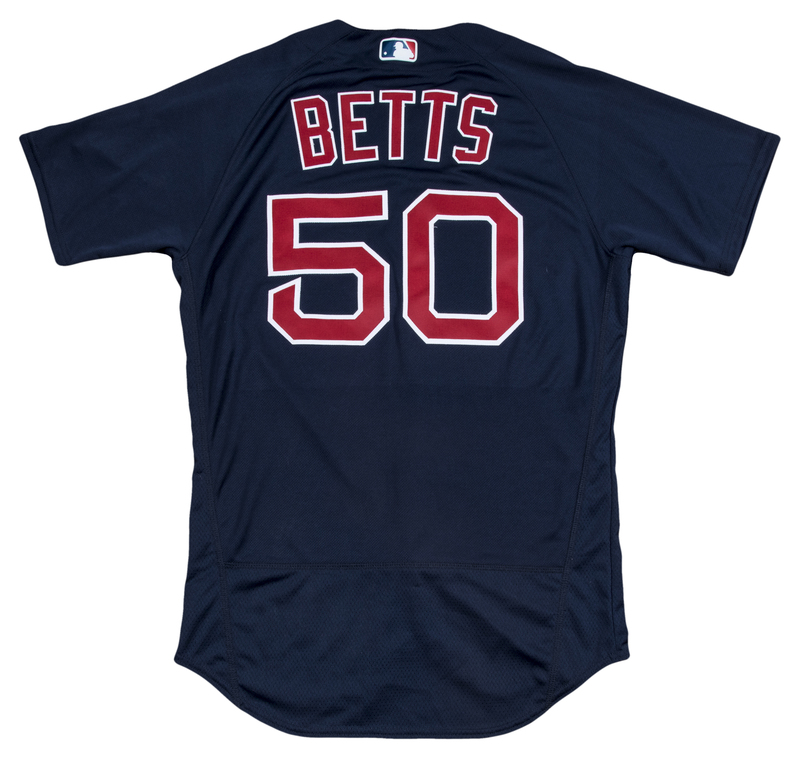 Betts collected three hits during this game, including a double in the 12th inning. 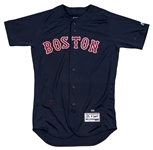 This size 42 Majestic FlexBase navy button-down jersey features “BOSTON” sewn on in Tuscan font across the chest in red and white tackle twill. 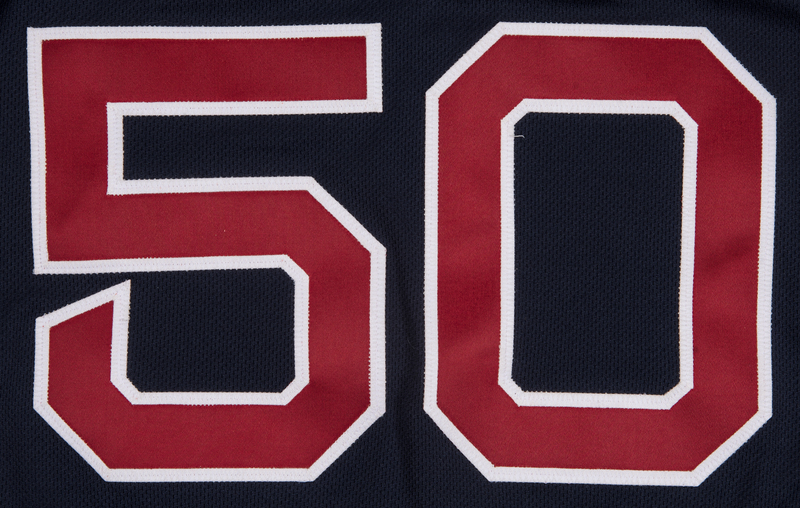 “BETTS” and his McAuliffe-style number “50” are sewn on the back of the jersey in red and white tackle twill. The vinyl MLB logo patch is sewn above Betts’ name on the back of the jersey and the Majestic tag is screen-printed on the bottom front left tail. 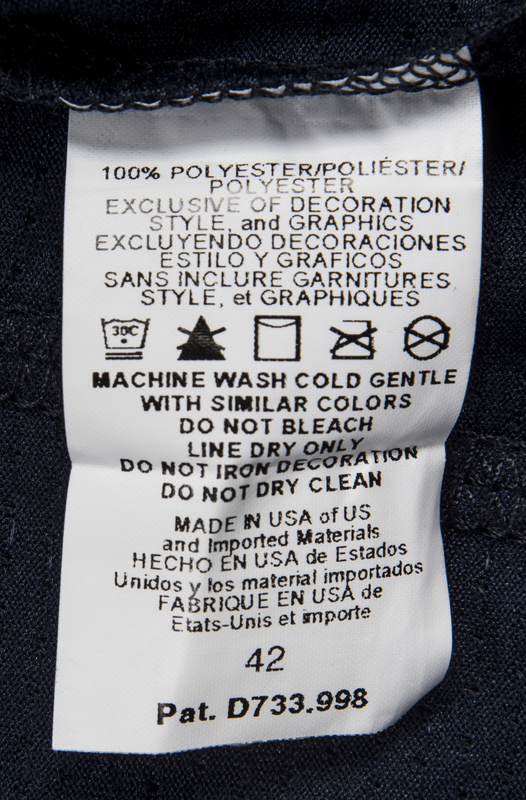 There is an additional Majestic bar code tag applied vertically to the bottom center right tail that reads “#50 BETTS 2017 42”. 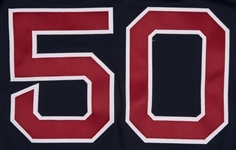 The Majestic logo is embroidered in white on the left sleeve. This jersey displays moderate game use with small dirt stains on the bottom center chest an on a couple of the letters on the front. 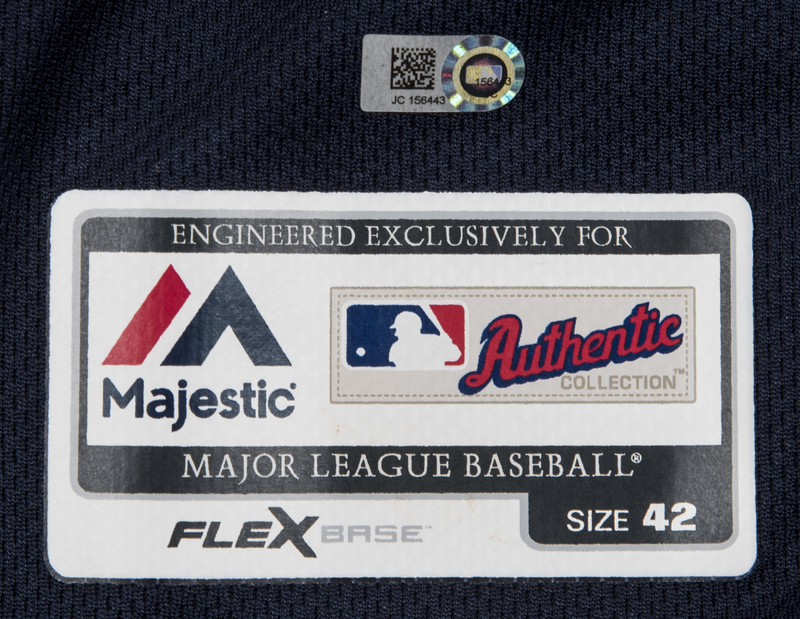 This jersey comes with a MLB Authenticated hologram (JC156443).